You might think you can name the eight major Hawaiian Islands. But there's a little more to it when spelling and pronouncing them correctly. You'll find the names of many of the islands spelled differently in print and online depending on whether you use the Hawaiian diacritical mark, the `okina. As the University of Hawaii's website explains, "The ‘okina is a glottal stop, similar to the sound between the syllables of 'oh-oh.' In print, the correct mark for designating an `okina is the single open quote mark." So, that being said, here are the correct spellings of the islands from the northwest to the southeast: Kauai (Kaua`i), Niihau (Ni`ihau), Oahu (O`ahu), Molokai (Moloka`i), Maui, Lanai (Lana`i), Kahoolawe (Kaho`olawe), and then there's that very large island to the southeast where you find Hawaii Volcanoes National Park, the towns of Hilo and Kailua-Kona, Mauna Kea and Mauna Loa, and lots of fantastic resorts. So what is that island called and how do you pronounce it? At one point in time, the majority of folks you'd ask (including many who live there) and most print and online publications would answer either the "Big Island" or the "Big Island of Hawaii." In fact, the agency which promotes island tourism called itself the Big Island Visitors Bureau (BIVB). So, that's the answer then, right? Wrong. The actual name of the island is Hawaii (Hawai`i) or Hawaii Island (Hawai`i Island). But, you say, isn't that the name of the entire state, i.e. the State of Hawaii? You're correct. However, before there was the State of Hawaii, a Territory of Hawaii, a Republic of Hawaii or even a Kingdom of Hawaii, there was an island called Hawaii, just as there were islands called Kaua`i, O`ahu, Maui etc. All of the islands were named independently by the early Hawaiians and each had its own ruler(s). If you had arrived on at Waimea Harbor on Kaua`i in January 1778 with Captain James Cook and asked an island resident if you were in Hawaii, they probably would have no idea what you meant. Nor would have Captain Cook, by the way. Captain Cook, gave these islands the name "Sandwich Islands" after the fourth Earl of Sandwich, the acting First Lord of the Admiralty. So, then, how did the name of one island come to be known as the name for the entire group of islands—to the extent that the original island was compelled to develop a nickname by which it would become universally known? You need to look to Kamehameha I or Kamehameha the Great who lived from what is believed to be 1758 until May 8, 1819. Kamehameha was from the North Kohala area of the island of Hawaii. Kamehameha conquered and united the Hawaiian Islands and formally established the Kingdom of Hawaii in 1810. Basically, as was the right of the conqueror, he named his kingdom after his home island, the island of Hawaii. For the next 150 years, tradition, common usage, and a large degree of marketing in the mid-1900s took over and the name Hawaii, in the minds of most folks, became synonymous with the entire island group and later the State of Hawaii. Over the years, the island of Hawaii became more and more known as the Big Island. Aside from being a source of irritation to some island residents, the name often confused visitors planning their trips. Visitors have been known to book a trip to "the Big Island" assuming that big means a big city, Honolulu, Pearl Harbor, etc. In 2011, tourism officials decided to try to set things right, as much as could reasonably be attempted after so many years of confusion. They decided that tourism officials would refer to the island as "Hawaii Island," or, in a bow to tradition, "Hawaii, the Big Island," as shown in a new logo. As George Applegate, director of what was still, a bit confusingly, called the Big Island Visitors Bureau stated, "Our name is Hawaii. We've used the nickname, 'Big Island,' for the last 25 years to distinguish Hawaii, the island from Hawaii, the state. The 'Big Island' nickname has since become part of our history and people are connected to it, but it’s not the name of our island. Identifying our island by nickname has not always sat well with many people who live, work and play here. We will introduce the island as Hawaii Island moving forward." Most visitors, and perhaps even most island residents and businesses, still used the term, the "Big Island." Likewise, some print and online publications were slow to change, since they wanted their readers to find information easily under terms they were accustomed to using. But today, the visitors' bureau has a new name, Island of Hawai‘i Visitors Bureau. And, the island is Hawaii. So, you now know that the island's name is, correctly, the Island of Hawaii and how it came to be. Use it when you're visiting and you may get some extra aloha from local residents. Learn the Culture, History and Language of Hawaii With These Books. 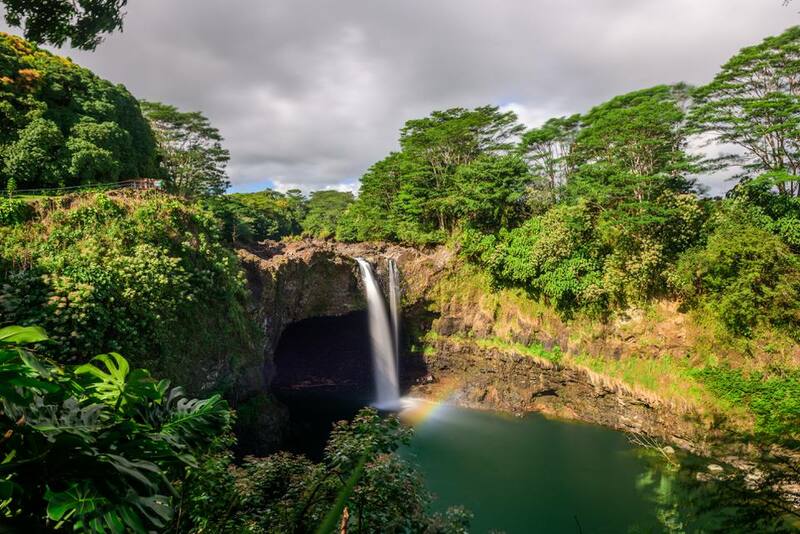 Which Hawaiian Island Should You Visit? Is the Island of Lana'i a Good Day Trip for You?